I love that we are officially in spring (I’m probably jinxing us). Sunshine and a bright blue sky just seems to make everything better, right? One day I was lucky enough to make it home early and wanted something light and delicious for lunch. I remembered reading about a feta chickpea salad in an old Bon Appetit Magazine. So I used what I had in the pantry and fridge and came up with a light chickpea salad filled with flavor. 2. 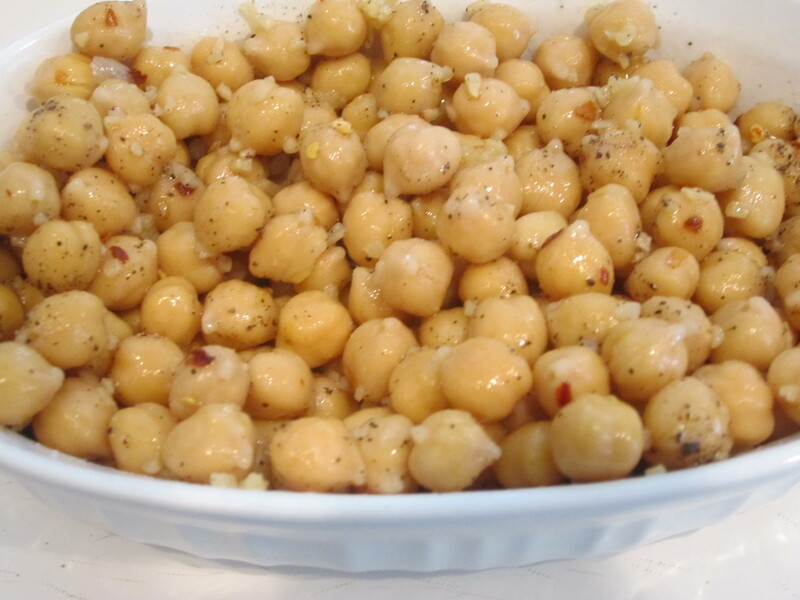 Mix together rinsed chickpeas, oil, garlic, red pepper flakes, salt and pepper. Mix well so that everything is coated with olive oil. 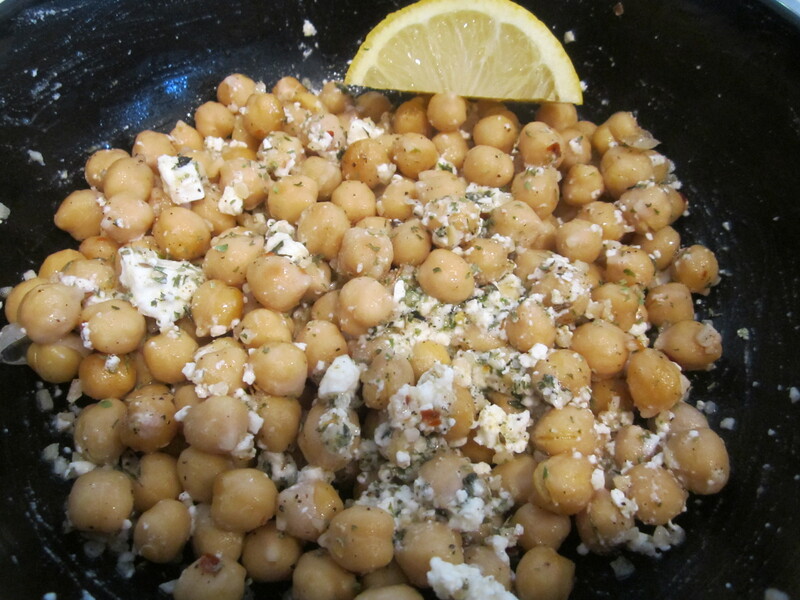 Place in to baking dish and bake for 15-18 minutes or until chickpeas are hot and beginning to crisp. Remove from oven and allow to cool for 5 minutes. 3. While in oven, chop fresh herbs and toss in feta. 4. 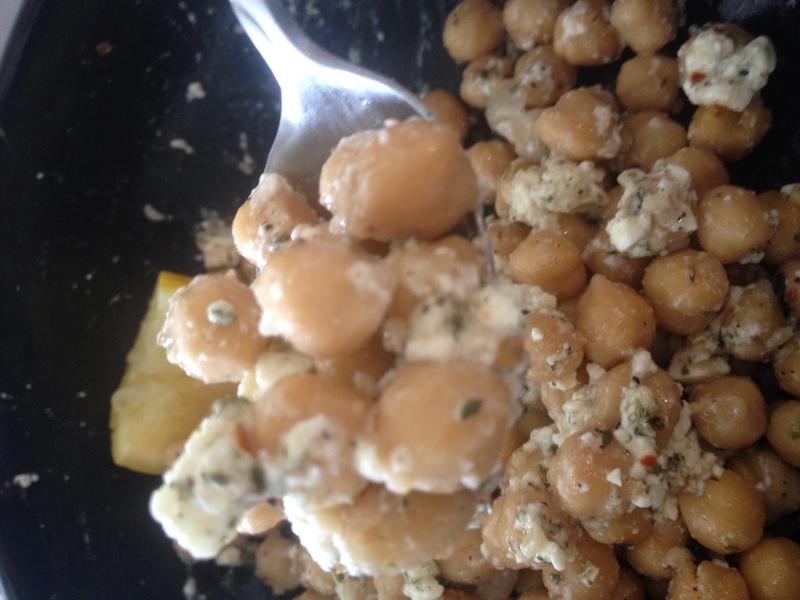 Once cooled, add feta-herb mixture to baked chickpeas. Stir everything together and top with some freshly squeezed lemon.